“Sicario” means “hitman” and “soldado” means “soldier.” In the crime thriller Sicario: Day of the Soldado (a.k.a. Sicario 2: Soldado) audiences get a realistic glimpse into the business of war, U.S./Mexico border crossings, and high-level government law enforcement operations as one highly skilled sicario joins the fight in escalated conflicts that grow more complex and morbid. Italian director Stefano Sollima (ACAB – All Cops Are Bastards) and screenwriter Taylor Sheridan (Hell or High Water, Wind River) build on Sheridan’s original 2015 film Sicario by following the actions of federal law enforcement leader Matt Graver (Josh Brolin) and experienced hitman Alejandro Gillick (Benicio del Toro) as they become involved with an increased drug war mainly due to terrorist smuggling across the U.S./Mexico border. The movie closely ties events to the current drug war as the conflict escalates into a frightening war exposing all sides, challenging the characters to their core. Betrayal, sacrifice, and survival run high. Del Toro’s strong, silent portrayal powerfully, but slowly reveals more background about his past while demonstrating even more of Alejandro’s formidable skills. He has the knowledge to meet his objectives and the will to fulfill them. 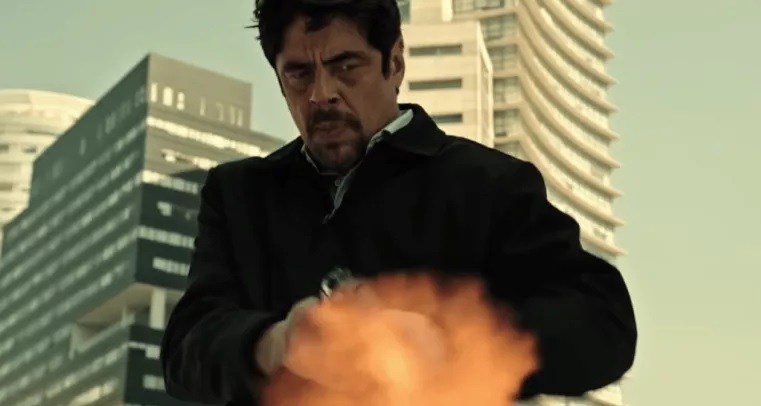 For example, at first it seems Alejandro’s firing an automatic pistol at a downward angle during an exterior sequence set in Mexico City, but it’s actually a much more skillful technique used to send a brutal message. Audiences don’t even have to see the bloody results. Alejandro’s execution speaks volumes as he keeps his weapons on him at all times. The filmmakers introduce two young rising stars Isabela Moner (Transformers: The Last Knight, upcoming Dora the Explorer) and Elijah Rodriguez (The Book of Life) who hold their own among some impressive acting. The Peruvian-American Moner portrays Isabela Reyes, the daughter of drug kingpin Carlos Reyes who quickly becomes a key component in these various conflicts. The audience is meant to identify with Reyes; she is a bystander constantly exposed to troubling action and tragic circumstances where she mostly has no power to change them. Reyes’ haunting stare near the end says everything about her transformed outlook without saying a word. 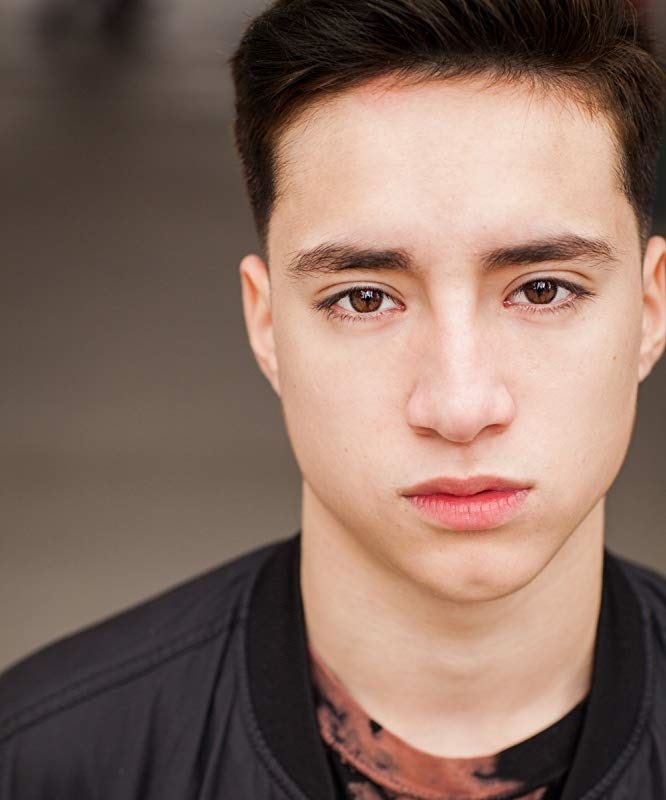 Rodriguez brings a convincing mix of strength and vulnerability as a young Miguel Hernandez, who reluctantly volunteers himself into criminal activity and smuggling at the border with his “handler” Hector (David Castañeda). Faysal Ahmed (Captain Phillips) has a key role in the beginning as Bashiir. Soon after a criminal named Gallo (Manuel Garcia-Rulfo) gets the attention of U.S. federal officers. U.S. Specialist Steve Forsing (a bespectacled Jeffrey Donovan) backs up Graver in the field and back at base operations along with Troy (Howard Ferguson Jr.). Donovan’s experience on the covert operation Burn Notice series makes him a credible ally here. Sollima’s establishing camera shots of each location are incredible, especially the first shot in Mexico City. He and his crew form a realistic plot free of clichés and stereotypes. An exterior car mirror shot of Alejandro Definitely a cerebral narrative where cinematographer Dariusz Wolski (The Martian) matches the visuals with the dark emotional tones. The musical score by Hildur Guðnadóttir does not quite meet the heights of the previous film score, especially the track “The Beast” that was composed by Jóhann Jóhannsson (Black Panther), but still captures emotions for the audiences and enhances the filmmakers’ visuals. The sequel also includes songs by Under Side 821, Jonatan Sanchez, and Pato Machete. I recommend Sicario: Day of the Soldado (*** out of four stars). It is rated R for strong violence, bloody images, and language. 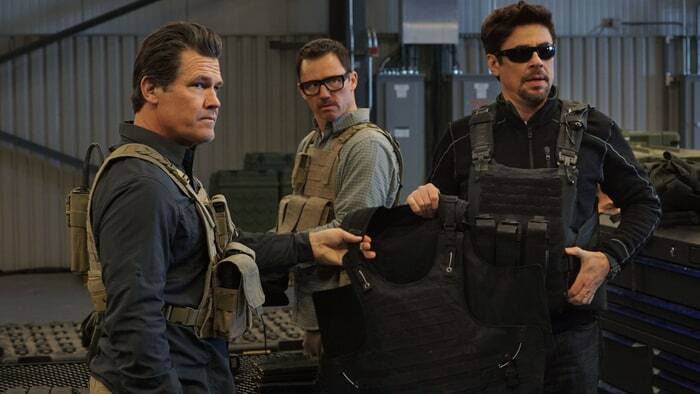 The next Sicario installment is already in pre-production where audiences will likely see Carlos Reyes appear along with most of the main cast from this installment. This entry was posted in 2010s Film Reviews, Film Reviews and tagged drug war, Film, Michael Siebenaler, Mike Siebenaler, movies, Sicario, Sicario: Day of the Soldado, Tall Writer. Bookmark the permalink.